Happy Saturday loves! Hope everyone is enjoying the weekend thus far. Per usual, I came home (starving) from my boxing class late morning. 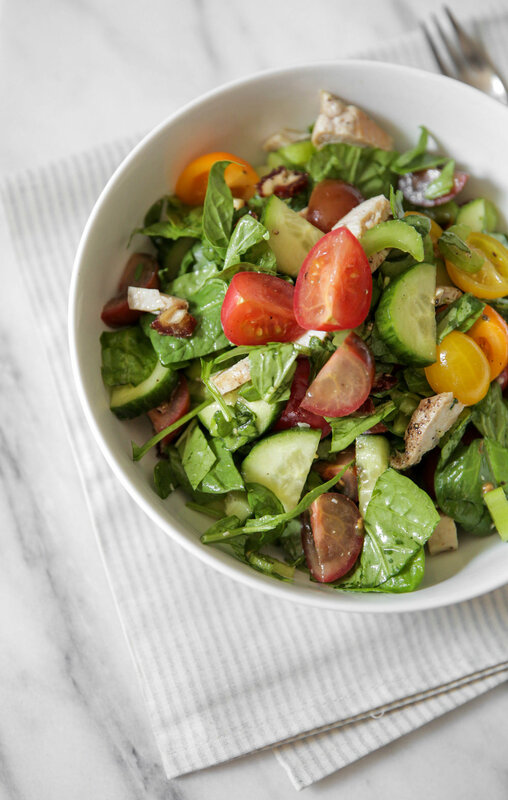 After a much needed shower & hair washing, I headed down to the kitchen to whip up this scrumptious spinach salad with all of my favorite ingredients – dates being the show stealer! 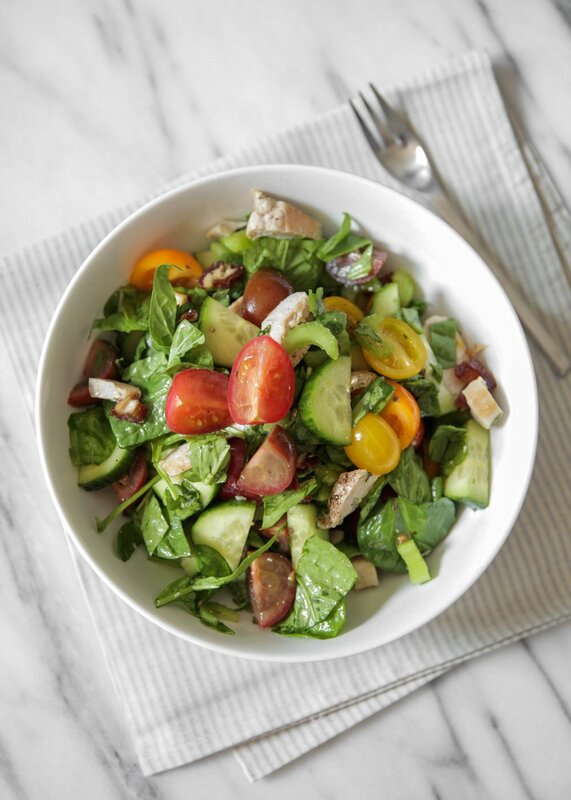 If you’ve never added dates to your salad, well…you are in for a real treat!! Adam & I started adding dates to our salads over the summer and we’re officially hooked!! They lend the perfect amount of chewy, sweetness to an otherwise simple salad. Chop all your ingredients & place in a mixing bowl. Add dressing & toss, toss, toss so all your ingredients are evenly mixed & coated with olive oil, sea salt & pepper then transfer to your bowl or plate! PS. I already had about dozen organic chicken tenders, cooked & ready to go in the fridge. I love the tenders from Trader Joe’s – I buy them on a weekly basis and make a whole bunch at once. They are a prefect source of protein to grab & go or to toss into a salad as I did here.